tag:www.doshsneinton.org.uk,2013:/posts dOSH 2018-09-03T23:10:09Z dOSH tag:www.doshsneinton.org.uk,2013:Post/1317893 2018-09-03T15:08:00Z 2018-09-03T23:10:09Z Future in the balance: Will Sneinton's Old School Hall benefit the local community in the future? 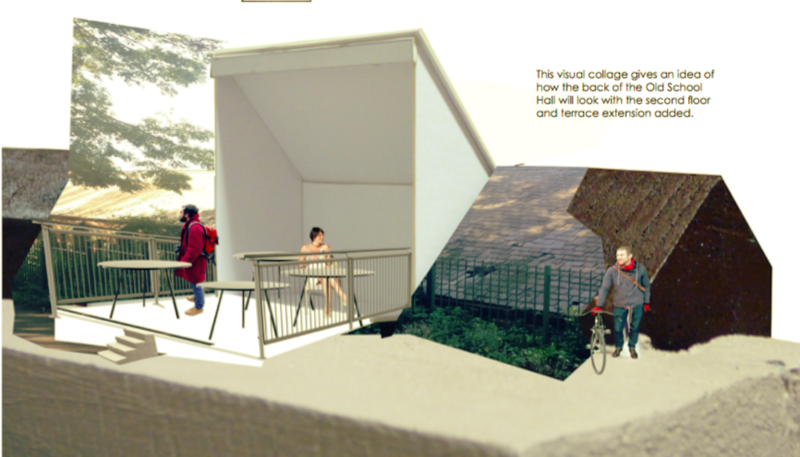 a new use that brings real benefit for the local people and the local environment, with community access to the space. The Council has said that the status of the building as an "Asset of Community Value" will be taken into account if planning permission is needed to convert the building to a new use in the future. They have also stated that they are not obliged to accept the highest offer financially, but will take other factors in to account such as those listed above. To make things even more vital to get the balance right, the building is in an 'At Risk' Conservation Area, and is surrounded by 3 'super output areas' that are in the worst 20% in the "Index of Multiple Deprivation" (one area is in the worst 10% for deprivation). Getting the proposal right for the local area is naturally more important than getting the highest possible selling price. 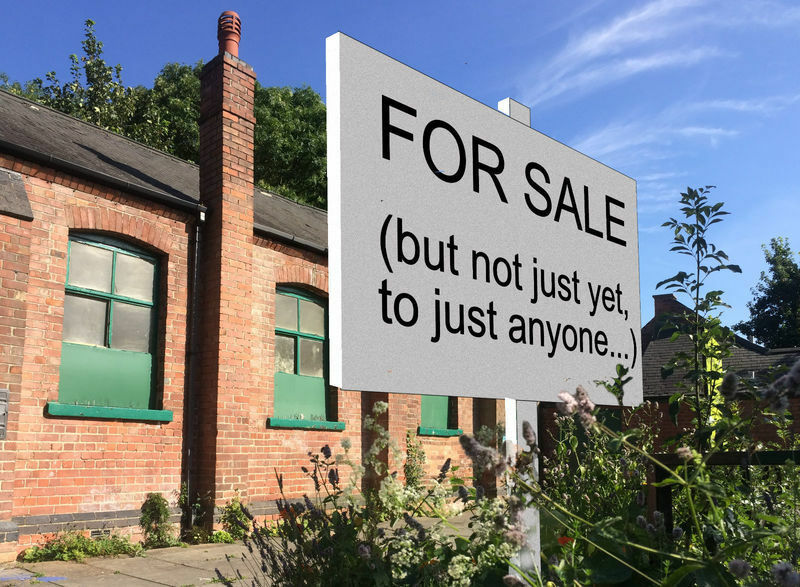 With bids for the building now being accepted, dOSH is keen to ensure that the Council has the means to assess these on the basis of their value BEYOND the simple £££. 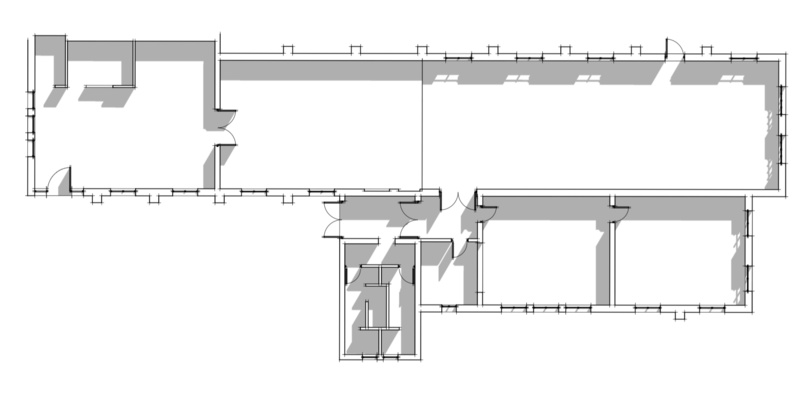 After all, we and the Council share a common interest in finding a purchaser who will be in it for the long term, a neighbour who will use the building in a way that improves the area (Council land surrounds the building on 3 sides) and who will provide a good FIT in the Conservation Area and help alleviate the deprivation endured by people locally. We have done the research and found a method for assessing proposed projects for their Community Benefit and Social Investment value. When we ran this by the Council they told us that it "makes some very good points and is certainly and excellent guide" to what they would be looking for. 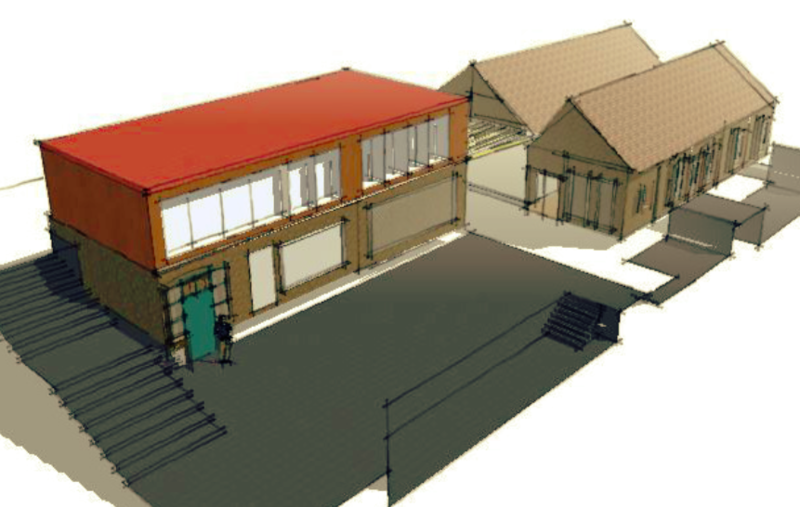 dOSH is seeking YOUR responses to 3 potential ways in which the Old School Hall could be developed. In a hurry? Skip to our 6 minute survey. These options are all based on realistic scenarios and real approaches we've had from potential owners, tenants and users of the space, so at this stage each of the options could be considered financially viable (of course we will be proving that later, when we have the final proposal in place!). The whole point of dOSH, and the reason it came about, is to tap in to the massive groundswell of local support there is for the building and the local interest is its future. So at this point we really need to know what you think and why. The first idea, "OPTION A", is for a Food Hub building. This would be dedicated to food production and learning about food. 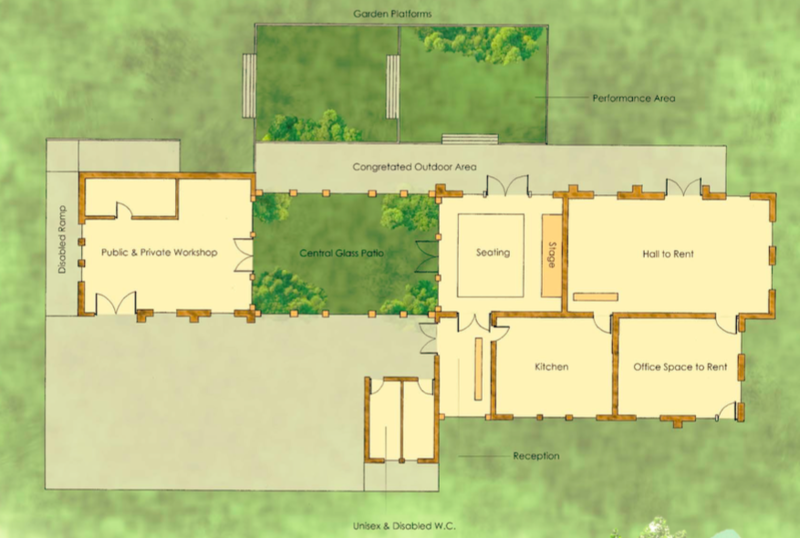 It would include a bakery, cafe and a large hall for education and events. Several small food businesses would be based in the building. There would be a strong association with the Windmill, making this a national destination as well as a local centre. Income would be generated by the food businesses paying rent, and by the hire of the hall for events. The second idea, "OPTION B", is for an education or day centre. A secure part of the building will offer education or day support for people with disabilities, excluded school pupils, or maybe a nursery. There will be small teaching rooms and a larger hall used for the education/day centre during the day. During evenings and weekends the school hall can be booked for events. The rest of the building will be taken up by a large cafe and a bakery. The third idea, "OPTION C", is for a Local Business Hub building. A charitable business would own the Hall and sublet part of it to a bakery/cafe. 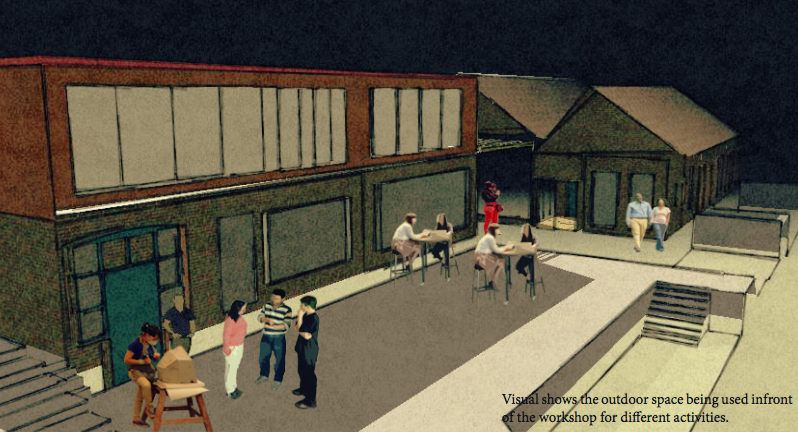 Part of the cafe area will be designed so that community meetings and small events can be held there. The rest of the building is offices for the company, which also offers 'co-working' or shared desk space, use of meeting rooms and other facilities to local groups and charities. Thank you for reviewing the options. Please now take the survey! ]]> tag:www.doshsneinton.org.uk,2013:Post/1295965 2018-06-21T17:11:40Z 2018-06-21T17:11:40Z #SaveOurSpaces campaign- Locality looks in to "The Great British Sell Off"
The Old School Hall in Sneinton is just one of the 4000 public buildings and spaces that are being disposed of every year by Councils up and down the land. Think of the number of Starbucks coffee outlets there are... then multiply by 4. In it's "Save Our Spaces" campaign, Locality is attempting to support "the local people who are fighting back." "They are coming together across the country to save these spaces, by taking them into community ownership. "These groups – usually small voluntary organisations and charities – are committed to protecting them as a vital hub in their community and a space to offer services for the whole community. And they are doing this with little or no help from anywhere else – with just the power of community on their side." "...for those local voluntary organisations that take on these spaces it can mean greater financial sustainability and capacity to adapt to an ever changing funding environment. 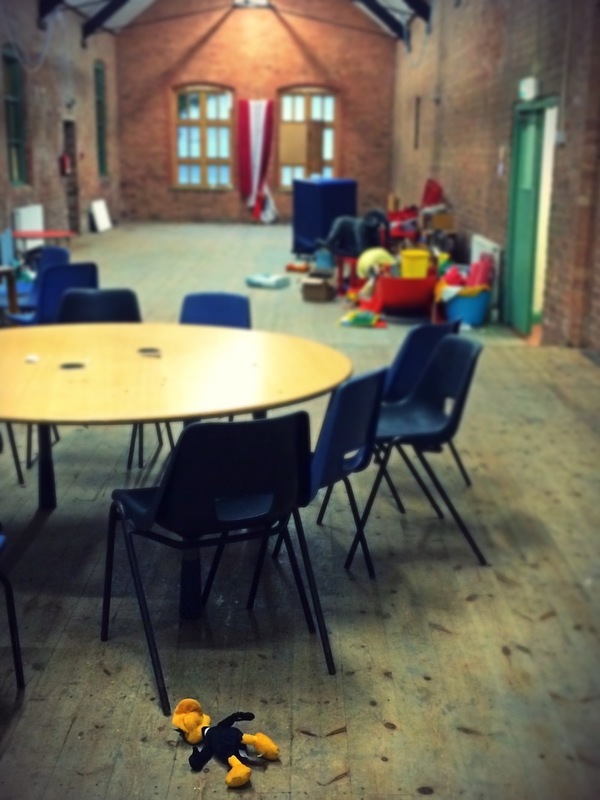 And these spaces offer vital hubs for local people that they exist to support." 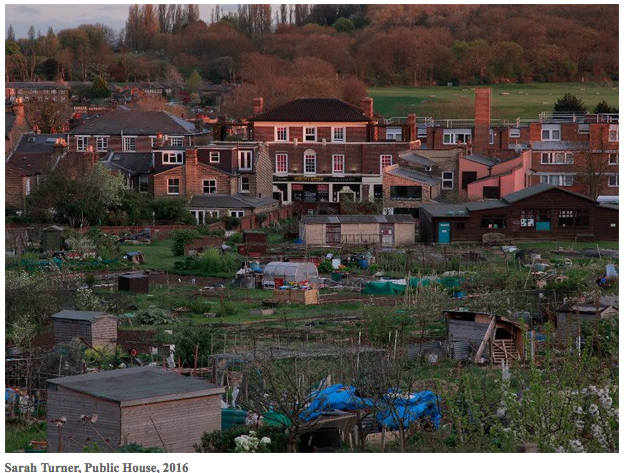 Locality recognise that there are times when a private sale might be the most appropriate course of action, but urges that credible community ownership plans are considered first and that community benefit is not ignored. 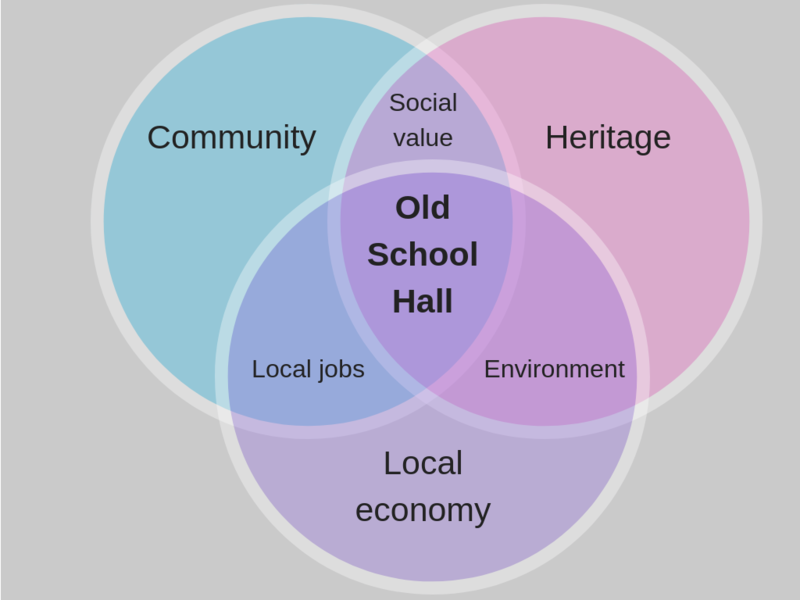 In the case of the Old School Hall, the Asset of Community Value status protects the building from sale to a commercial bidder for a short period of time, but after that it will for sale on the open market. 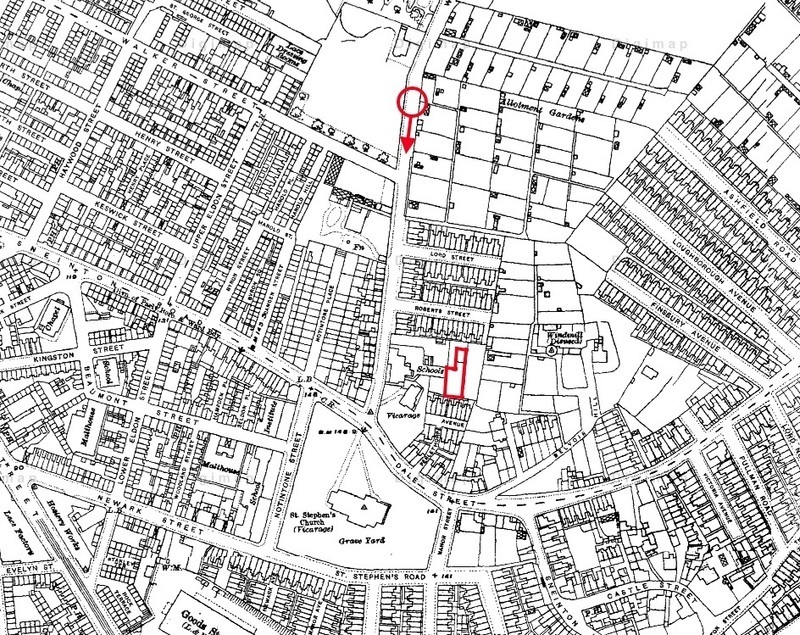 The ACV status will form a 'material consideration' if planning permission is required in the future, but essentially the building and site could well end up in private hands with no real influence from the community over what it is used for. No doubt community ownership is hard work: communities need to find resources such as money & professional skills that private developers have at the ready. Locality argues that the current 6 months moratorium time that gives communities a chance to get their acts together needs to be extended to a year, and that Councils should step forward with interest free loans to enable community groups to get started. Locality also argues that the benefits of community ownership are profound, from giving local people a chance to shape the place they live, to delivering services that meet local needs and accessing funding that Councils cannot reach. 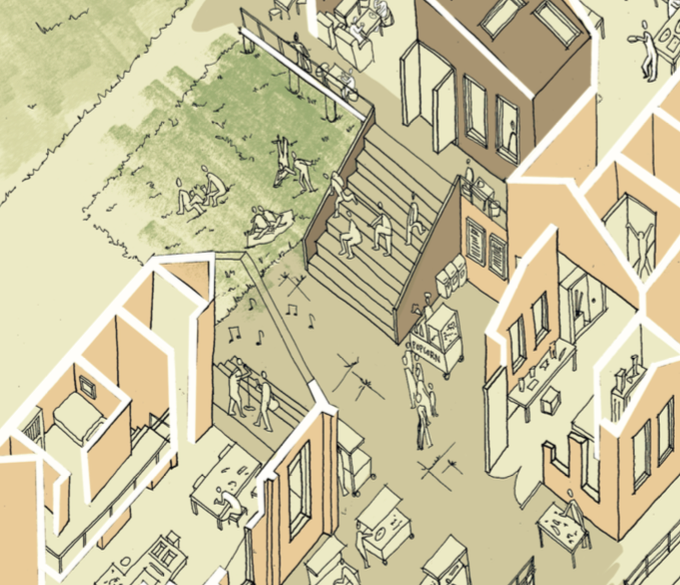 Find out more about Locality's Save Our Spaces campaign. What do you think? Let us know in the comments, or over on Facebook. 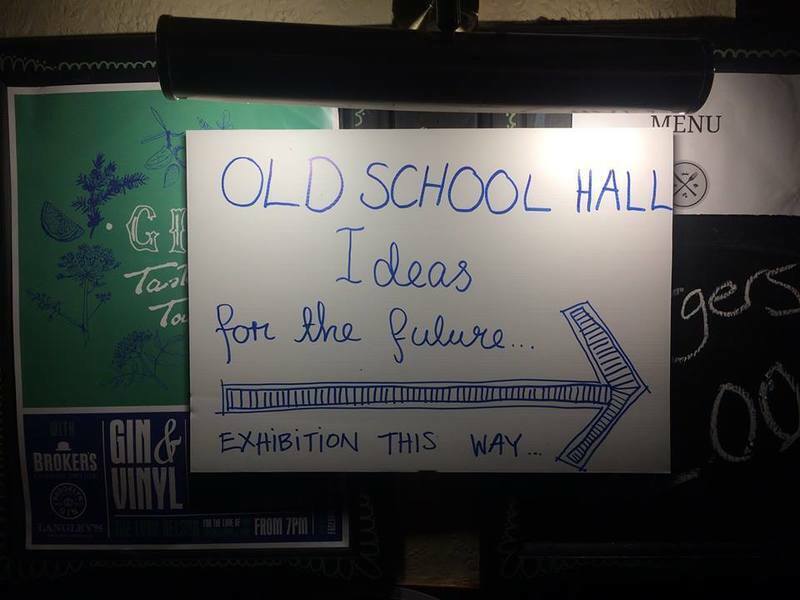 Passionate about the future of the Old School Hall? Then please, please take action! We brought life back to the Old School Hall windows today with a show of the 3 main ideas we are developing in our feasibility study for the hall. Support was strong and deep for a positive and community benefitting angle to bring the Hall back in to use. Some fascinating conversations with people who showed up today, including Doug who has been living near the Hall for 65 years and was a pupil at the school in the 1950s. Option A: A food hub: Dedicated to food production and learning about food, including a bakery, cafe and large hall for education and events. Several small food businesses would be based in the building. Strong association to the windmill would make this a national destination as well as a local centre. Option B: An education or day centre. A secure part of the building offers education or day support for people with disabilities, excluded school pupils or maybe a nursery. A large cafe takes up the rest of the building, perhaps with a direct connection to the WIndmill Park. During evenings and weekends, the school hall can be booked for events. Option C: A business hub. A charitable business owns the hall and sublets part of it to a bakery/cafe, part of which can be used for community meetings and small events. The business offers ‘coworking’ or shared desk space and use of meeting rooms to local groups and charities. We will be releasing an online form of the consultation shortly, but it was great today to meet people in person and talk through their preferences in depth. The sun shone and the snacks provided by Small Food Bakery were delicious, especially the 'Ey Up' bread made with Green's Mill flour. Thanks to Sneinton Alchemy for hosting the event, WIND for clearing up the car park before the event, the Old School Hall Community Association for providing the pagoda, table and chairs. 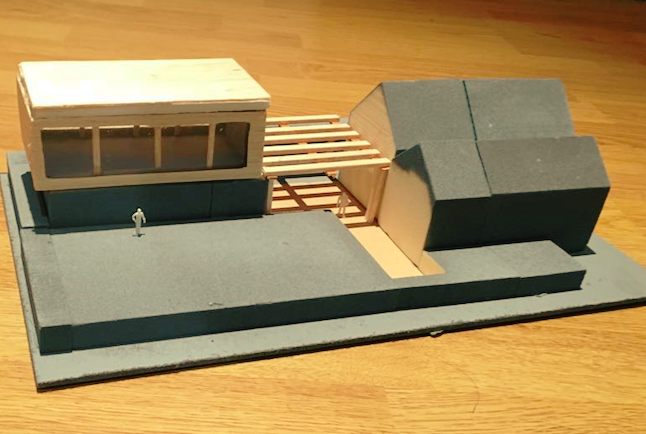 A special shout out to Nottingham Trent University 2nd year architecture students who have been working with dOSH Chair Tom Hughes of 2hD Architects on modelling the 3 business scenarios. An all who attended and had their say, thank you for your input and support. 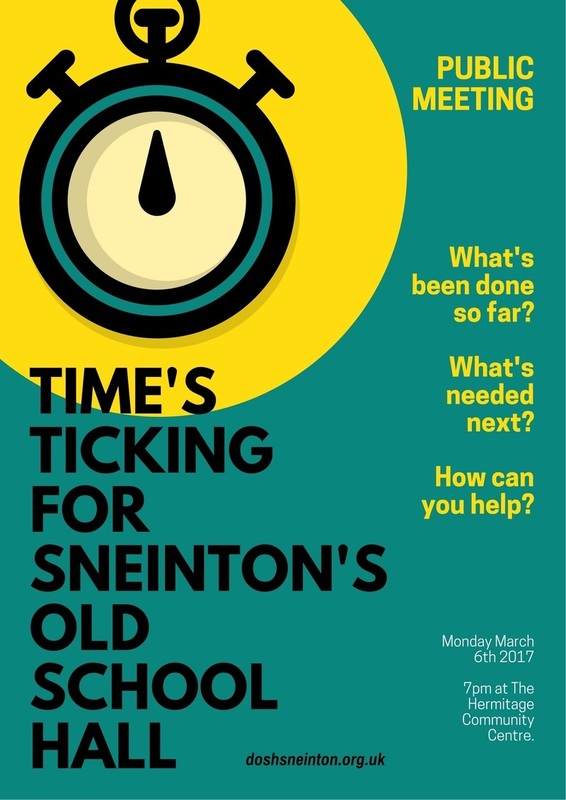 A chance for you to view and have your say on ideas for the re-use of the closed down Old School Hall Community Centre in Sneinton. Come and try bread made with Green's Mill flour and chat to our volunteers about the future of the Hall. Featuring the visions of architecture students from Nottingham Trent University showing how the building could be restored and adapted to give it new life. See our FaceBook event page. 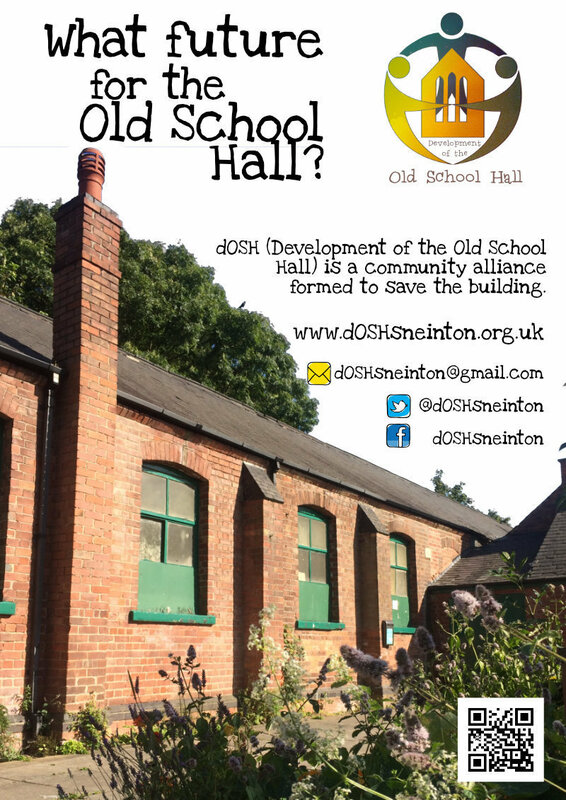 Want to save the Old School Hall in Sneinton? Take Action! 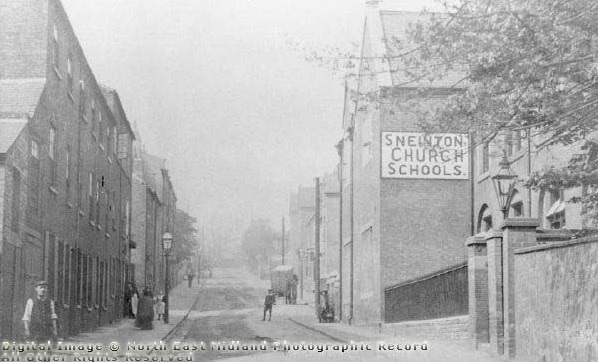 Our last few blog posts have focussed on the history and heritage of the Old School Hall as part of Sneinton's community identity. This heritage is certainly important and underpins our drive to find a community-benefitting new use for the building. But we can't afford to just be nostalgic, the building has to thrive as a place of enterprise and innovation in the future, offering a bright new vision as a busy, bustling place of opportunity. The team we have assembled a dOSH balances that enterprising vision with a deep set of roots in the community. 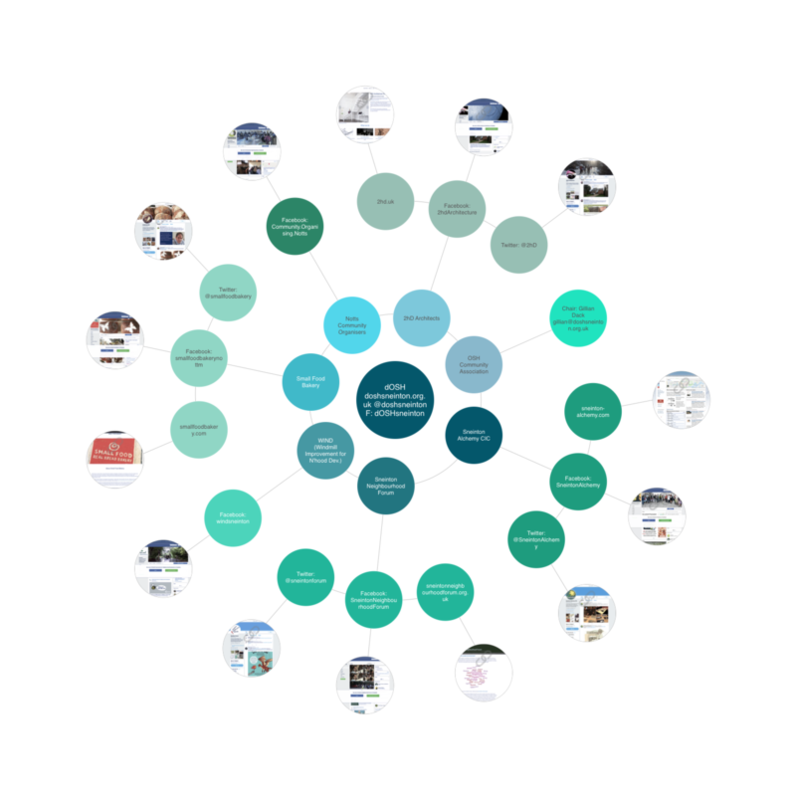 We will be ready to launch our ideas publicly soon, but first we think it is important to make it clear who the ideas are coming from and what interests they represent. 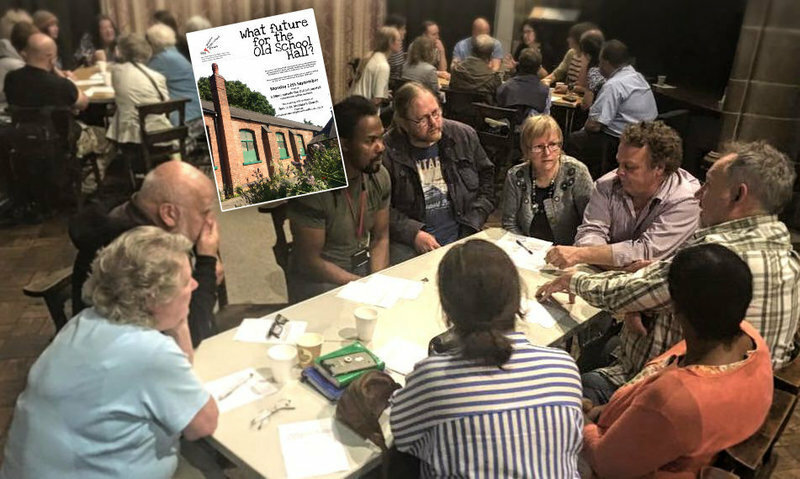 Sneinton Neighbourhood Forum: responsible for developing the Neighbourhood Plan for the future of the Sneinton area, Sneinton Neighbourhood Forum recognised the importance of the Old School Hall area and initiated the public meetings in 2016 that led to the birth of dOSH. Sneinton Alchemy: The Community Interest Company that was set up to benefit the Sneinton neighbourhood has a successful track record of handling grant funding and completing community based project work in the area. Sneinton Alchemy CIC has emerged as the body best placed to apply for and administer grant funding related to the Hall. WIND: With the snappiest acronym of them all WIND (Windmill Improvement for Neighbourhood Development) is the community group that has been behind many of the beautification projects in the Windmill Park. Representing residents from the immediate area and conducting litter picks, combatting anti-social behaviour and implementing planting schemes in close liaison with the Council and Green's Mill. 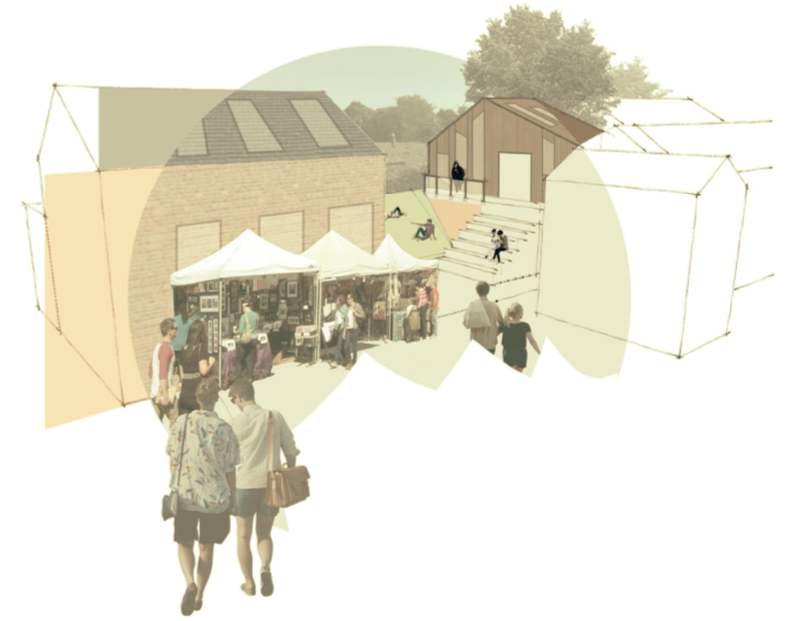 2hD architecture workshop: Locally based architecture company 2hD has won a number of design awards and been involved in a lot of community-based work around Sneinton. They have conducted a condition survey of the building and drawn up plans of the existing building, also coordinating the input of our structural engineer and bringing in architecture students from Nottingham Trent University to contribute through their teaching and research connections. Notts Community Organisers: Originating in Sneinton, Notts Community Organisers are fully-qualified in their role of building community engagement and self-realisation through active public involvement. Working from the ground up, Community Organisers build consensus and network like minded community members to make change happen. Small Food Bakery: Everyone agrees that a bakery next to the award-winning organic flour-producing windmill makes so much sense, and the area is crying out for a decent cafe. The Small Food Bakery, set up by a former Sneinton resident, takes flour from Green's Mill and turns it in to award winning food- their latest accolade being a short listing in the 2018 Good Food Awards from BBC Radio 4. 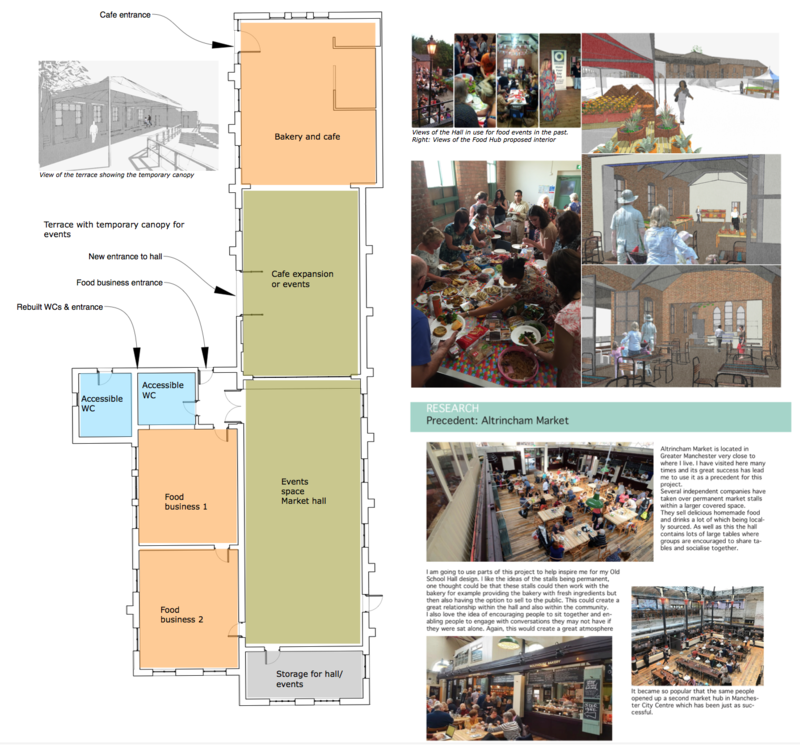 Their ideas for a bakery and cafe in the Old School Building have emerged as a thread running through all the enterprise options we are considering. 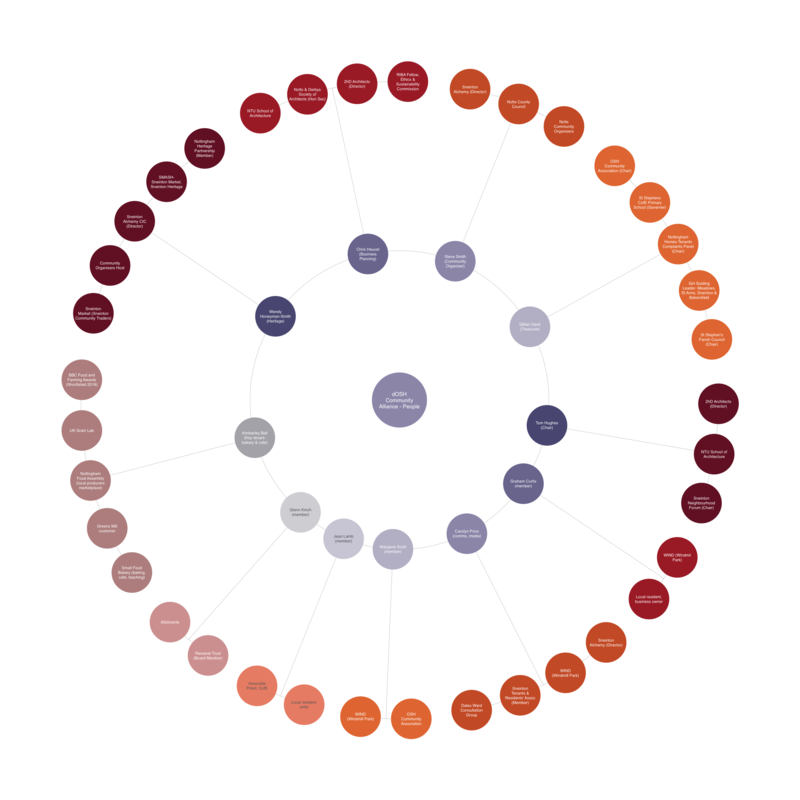 Find out more via the dOSH alliance partners network diagram. Of course, each of these organisations' representatives brings with them a great number of important connections to other organisations, who whilst not directly involved as dOSH partners have a great deal to offer to the project. So we have taken the chance to set out for you the eleven members of the dOSH committee and their involvement in other organisations, both in Sneinton and around Nottingham. Whilst we think the team is pretty strong, if you find your organisation is not represented and you think they should be, please do get in touch and get involved! The Old School Hall makes up part of a heritage hub at Sneinton. 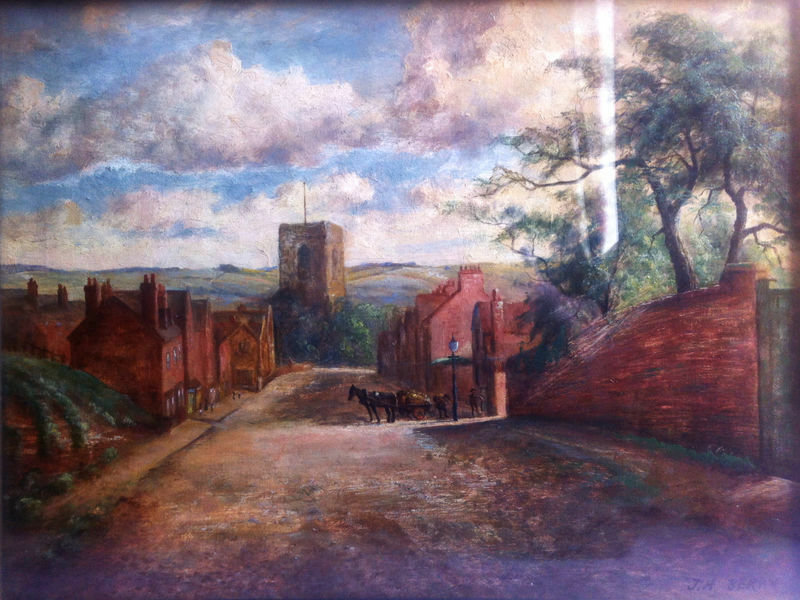 In its urban setting, it is at the centre of a group of historic buildings comprising Green’s Mill, The William Booth Museum, and St Stephen’s Church and the Old Rectory. These buildings are currently disconnected, but the Hall and its car park connects to each of them them in various ways. 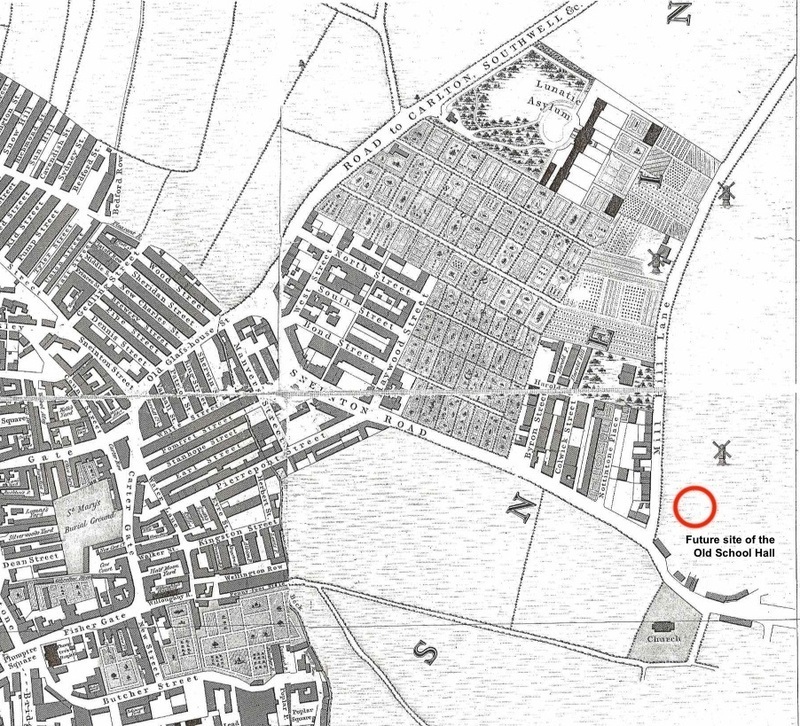 Sneinton Neighbourhood Forum have recognised this, and the future potential of this site. The Old School Hall is also at the heart of an “At Risk” Article 4 Conservation Area. 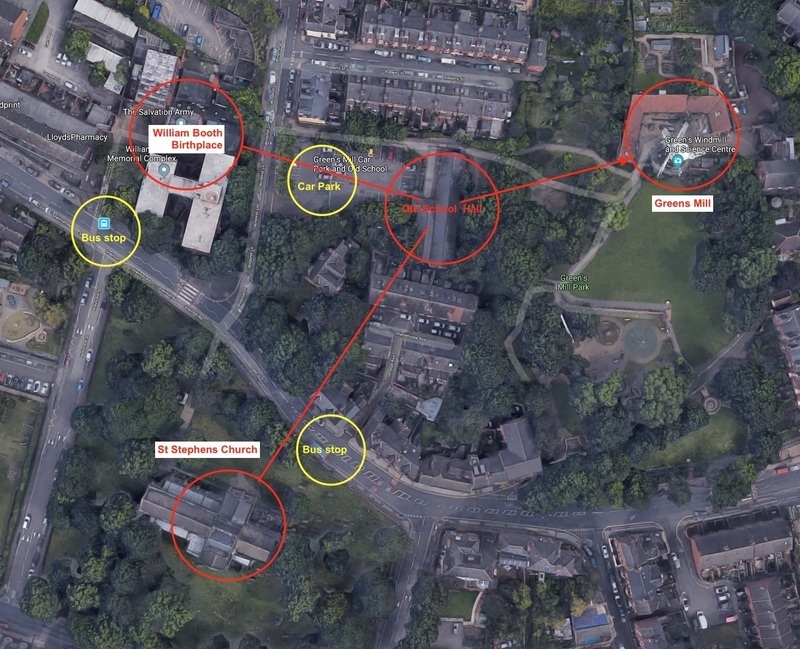 The current population of Sneinton places enormous value in the Old School Hall because of this connection, with many commenters to our petition keen not to see the last vestige of this era wiped away. 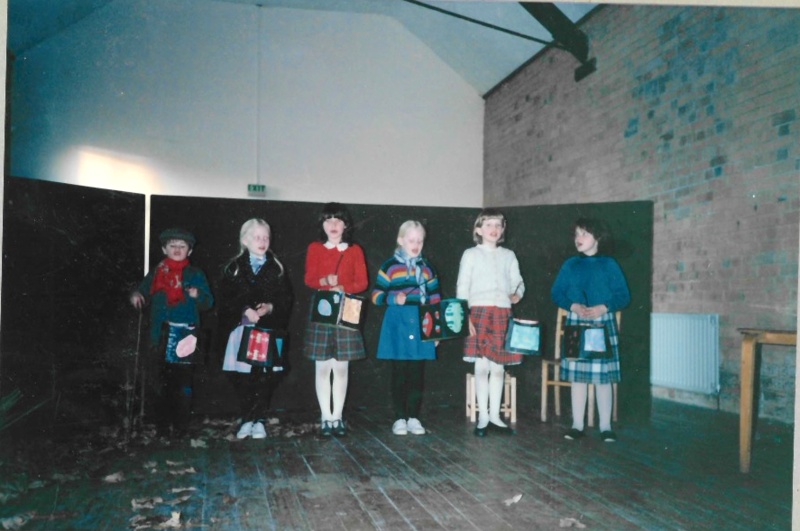 Amongst the older population, many were pupils of the school, whilst their children and grand-children have used the building for scouts/brownies, community events, birthday parties and weddings. You can see this from the responses to our online petition (over 700 signatures, click on “view all reasons for signing". 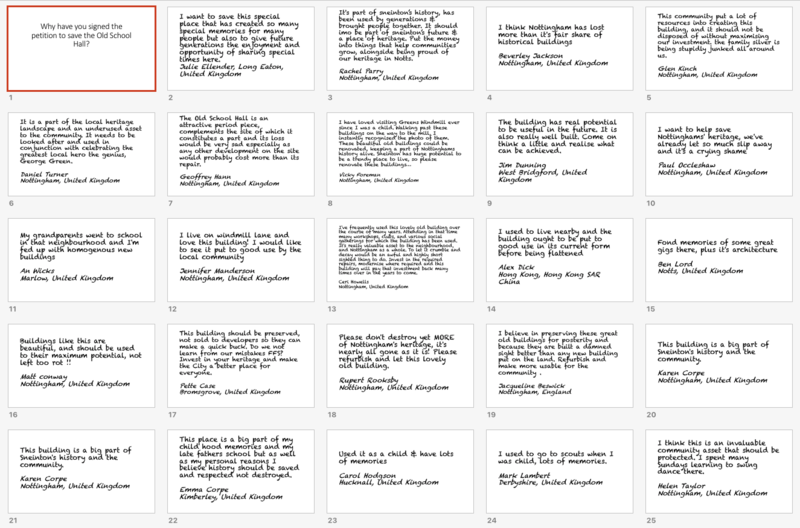 Above: A small selection of the hundreds of comments received supporting the campaign to save the Old School Hall for the community. The Old School Hall has a value in the setting of Green's Windmill and the Windmill Park. 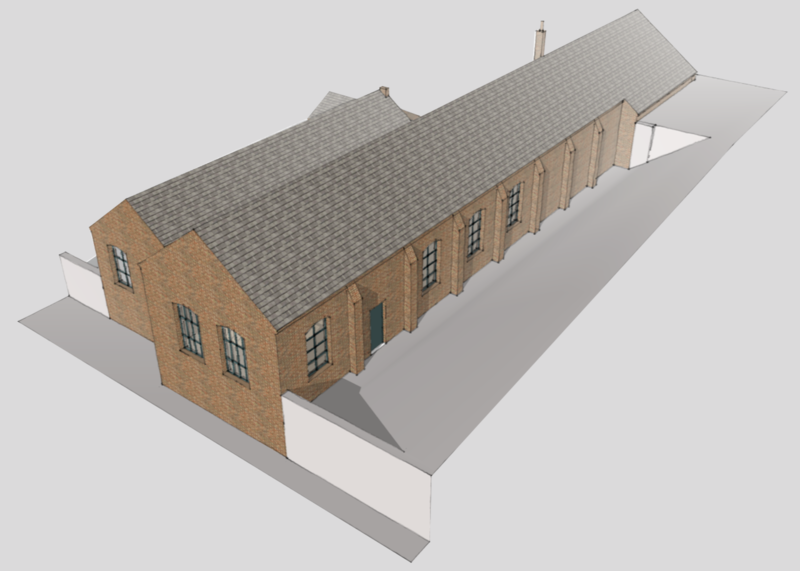 The hall would form a valuable part of the Mill masterplan because it is part of the Mill curtilage, and in fact frames the experience of approaching the Mill from the main access on Windmill Lane. 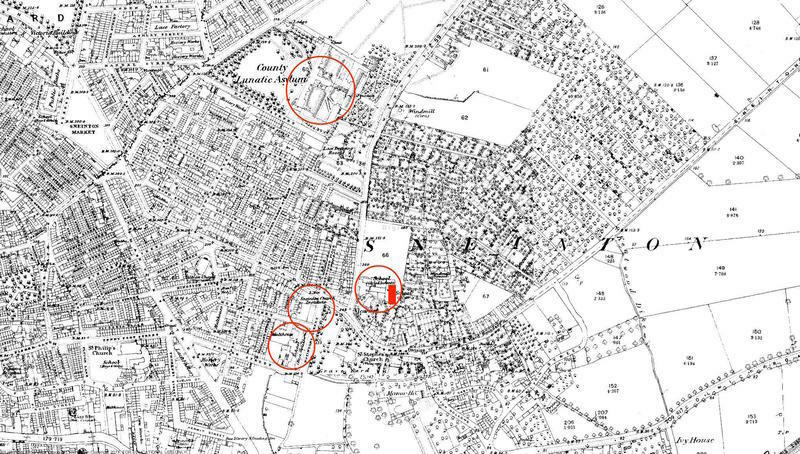 Whilst the Mill Trust may need to focus its efforts on the Mill and immediate surroundings, and not have the capacity to incorporate the building into their heritage plan, this does not diminish the heritage value of the Hall. In fact it makes it more urgent than ever to recognise this value. The Mill itself is of course unique in being an Inner City working mill. We are working with Kimberley Bell at the Small Food Bakery to bring to the fore the exceptional qualities of the flours that are milled here, and the heritage bakery methods that Kimberley researches through the use of sourdoughs. Many facets of her (international) work are of profound importance to the future of food in the modern city and are linked to traditional working practices. 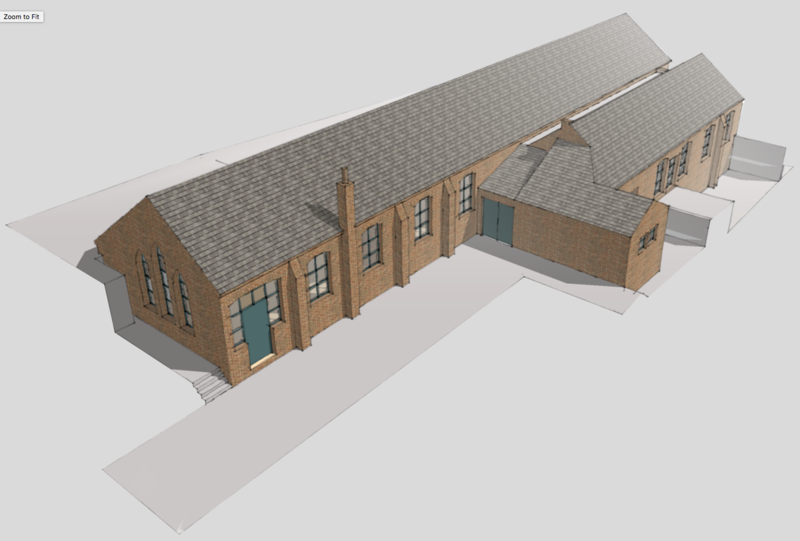 She has a vision for a bakery at the Old School Hall, and we believe the provision of a bakery at the Mill in the historic building will actually become as important as the world-wide focus of George Green himself. The Mill was one of several mills along the ridge at Windmill Lane and this is itself is a worthy part of the heritage story of the site. Recent heritage work at Sneinton Market has brought to the fore the food connections of this part of the City, and we hope to be able to add the ‘Working Lives’ researches to those of focussing on our national grain heritage to show how the history might be significant in feeding the city healthful foods in the future. Heritage provides the research which leads to future stability. Our Business Plan is based on new uses which have their roots firmly in the history, with the community very much in mind. We're very happy to have Kimberley Bell of the Small Food Bakery on the dOSH team. 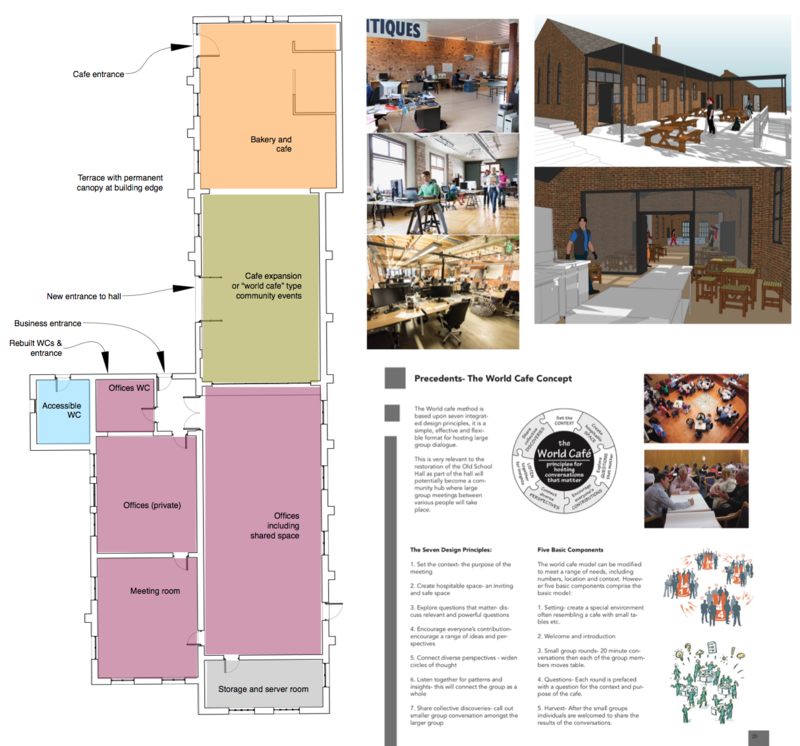 Her ideas for a bakery and cafe at the Old School Hall will form the backbone of the potential new uses we are investigating. 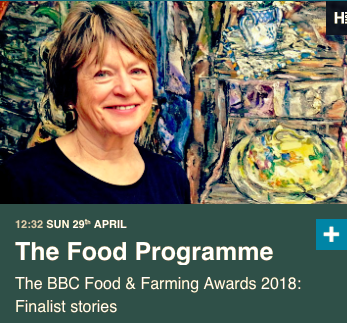 NEWSFLASH 14th June 2018: Congratulations to the Small Food Bakery on winning the BBC Food & Farming Award for Best Food Producer 2018! 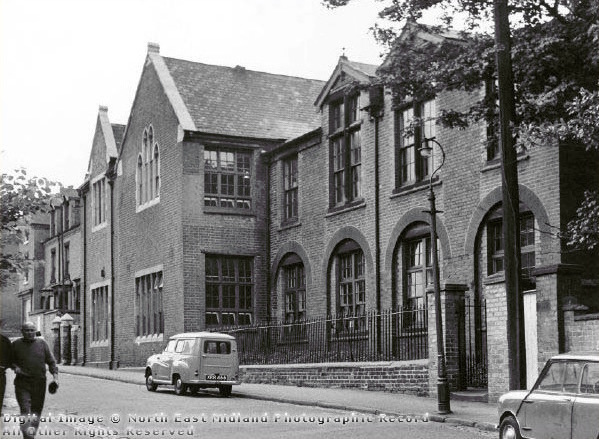 Another nice story has emerged about the use of the Old School Hall for education in Sneinton. 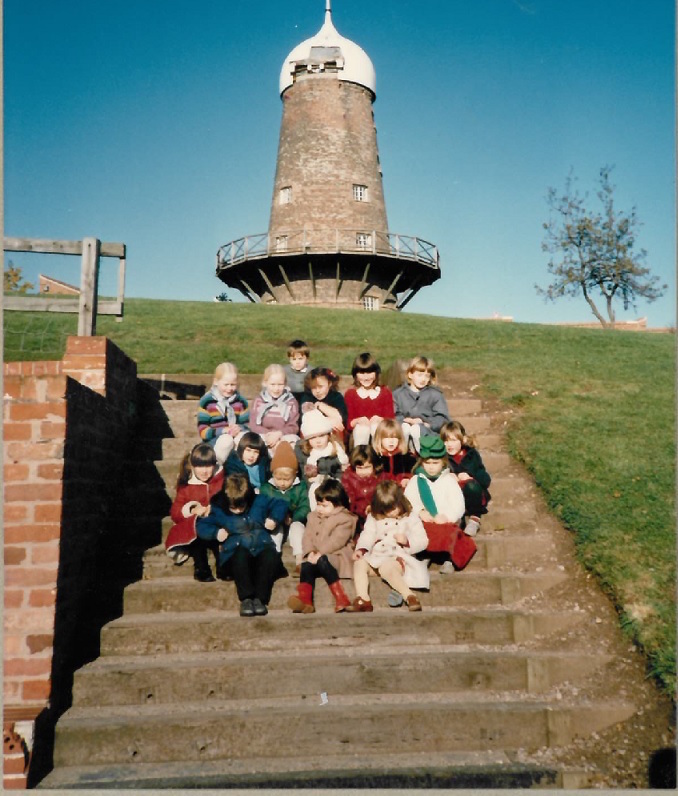 Above: The first class of Iona School in 1985/6 with the windmill undergoing its restoration in the background. 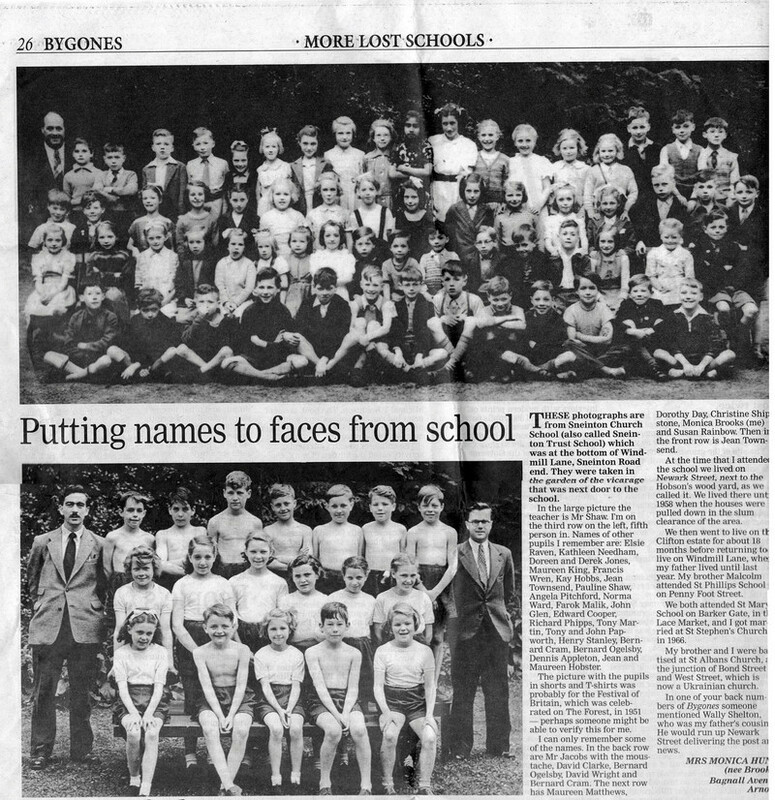 The Iona School, which is now based on Sneinton Dale behind the BANCA Community Centre, started life with a few pupils back in 1985- based at the Old School Hall. It was only in the building for a year or so before moving to its present home, but the original teachers who founded the school have fond memories and a proud association with the building. From a single class at the Old School Hall, Iona has grown to cover education for all years from nursery to eleven years old. Above: Just one of the classes today at Iona School, on their Sneinton Dale site. Do you have photos of the Old School Hall in use for gigs, events, parties, groups etc? If so we'd love to see them- please contact us or post over on our Facebook page. The Old School Hall is one of the oldest surviving buildings in the Windmill Lane area of Sneinton. Originally part of the Sneinton Trust School, built in 1837, the Hall survived the widespread demolition of school buildings around Nottingham carried out during the late 1960s and early 1970s. Once the main school buildings had been demolished in 1973, the Hall building was used for community meetings, the hardy folk of the area climbing over rubble on the demolition site and then enduring a damp building with no heating, for 12 long years. 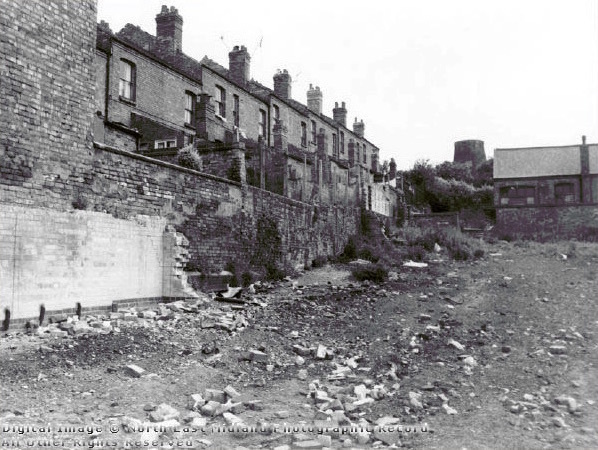 Above: In 1973 following demolition of the main school buildings. The rubble strewn area is now a car park, the Old School Hall and a pre-restoration Green's Windmill can be seen in the background. 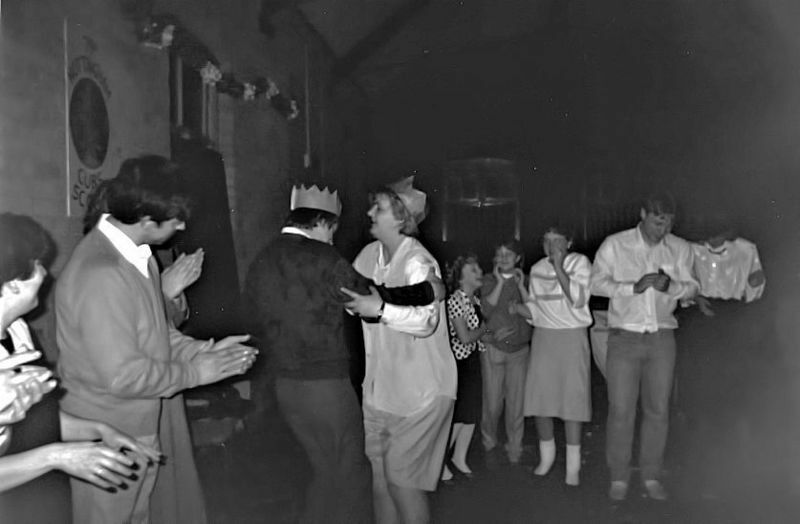 Above: "Pass the balloon" game in the restored Old School Hall, around 1987. "...a lovely modern building, with large and small halls, kitchens, small stage and all the modern conveniences". "No longer do we gaze with despair at the water running down the walls or observe with horror the evil looking fungus protruding from the holes in the rotting floor". 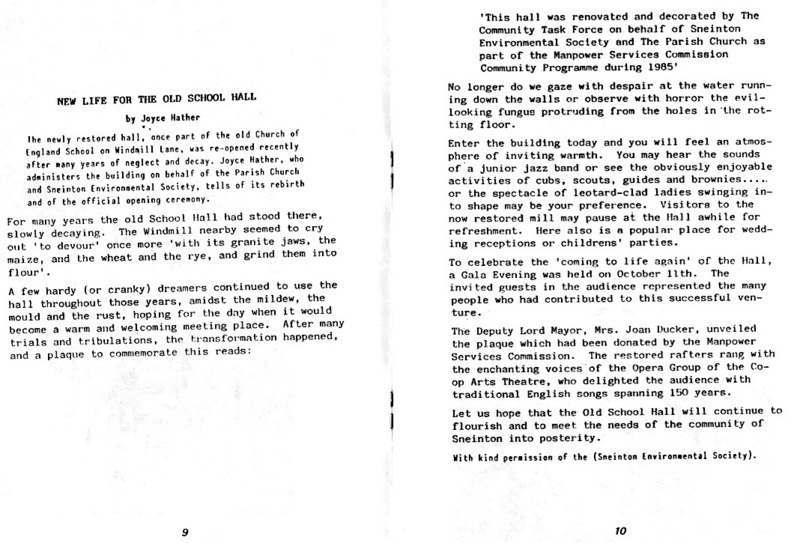 Thirty years on from that restoration, the Hall is once again under threat- this time a sustainable plan must be put in place to secure the upkeep of the building for future generations in Sneinton. dOSH is committed to ensuring this happens! If you have any photos or memories of the Hall in use as a school or Community Centre, please do get in touch via email, or our Facebook page - or leave a comment below. Thank you! Nottingham City Council took the decision to sell the Old School Hall on 12th November 2017, confirming that the building was excess to their requirements. This has been expected, following the closure of the Hall as a Community Centre and boarding up back in the autumn of 2016. However not all has been plain sailing: there was some confusion about how the decision was communicated to community stakeholder groups; and the complex process of selling a registered Community Asset has only recently begun. "Not an eye-sore at all... It is definitely run down, but it’s been around since the 1840s. 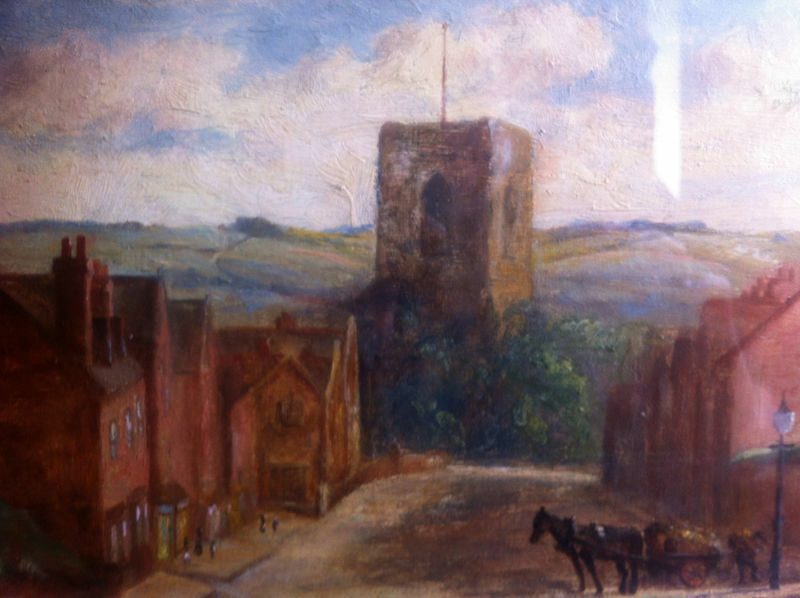 It is one of the oldest buildings in the area and is an important part of the community." 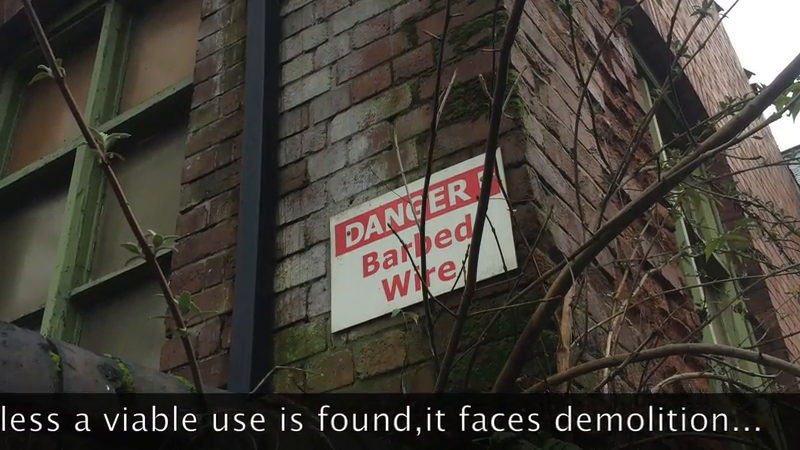 "I hope they don’t demolish it and are able to find some kind of sustainable use to it." "It’s a green, calm place, with a lot of love attached to it. It’d really be a shame if it were demolished." So the Council must try to find a purchaser with the resources to repair and maintain the building, who can demonstrate "a strong element of community value as part of their plans". As with any Asset of Community Value, there is a 6 month period during which there is a moratorium on selling the building to anyone except a community interest group. Only after this period, if no sale has been agreed to a community interest group, can the building can be sold on the open market. The 6 month moratorium period will end in early July 2018- and the search is on for a suitable purchaser: So spread the word, dOSH would be happy to work with any party who can demonstrate a strong commitment to community value and to bringing new life to this well-loved historic building. 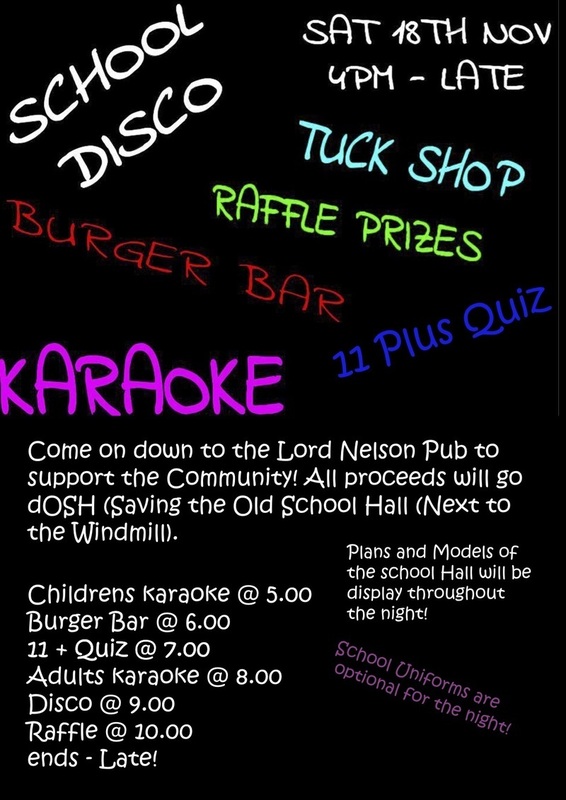 Thanks to Hollie at The Lord Nelson for setting up a 'Back to Skool' Themed fundraiser for the Old School Hall. 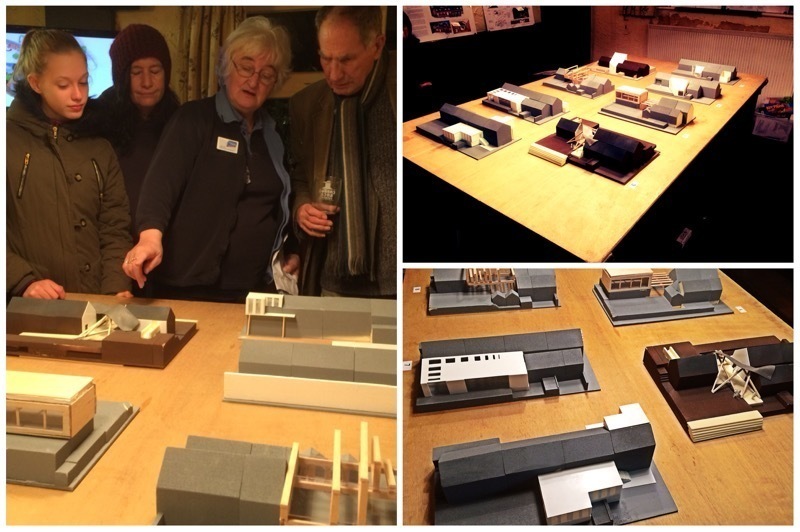 It was a chance for us to bolster our fighting fund and show off some of the design ideas developed by architecture students from Nottingham Trent University. There was a show of models and posters in the pool room- a raffle and burgers raised funds and karaoke was also attempted... £70 raised and a good time had by all. 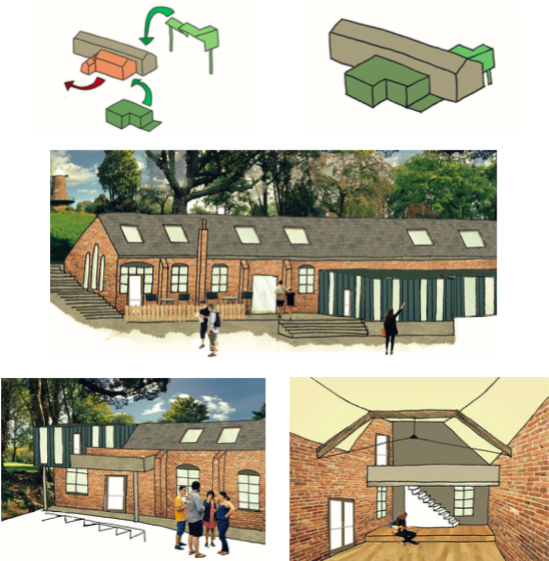 Architecture students from Nottingham Trent University have come up with ideas for the transformation of the Old School Hall, looking for new ways to give this historic building a sustainable future. Working with dOSH, the 43 students were tasked with research the area's history and the importance of the Old School Hall for the local community. They then had to understand the building, it's qualities and problems- before coming up with their visions. Here are some of the ideas. If you want to find out more, give us your feedback on these ideas or let us know what you would do with the building- come along to the dOSH event at the Lord Nelson Public House on Saturday 18th November (4-11pm). If you can't make it to that event, please do contact us anyway: we want to hear from you! 1. 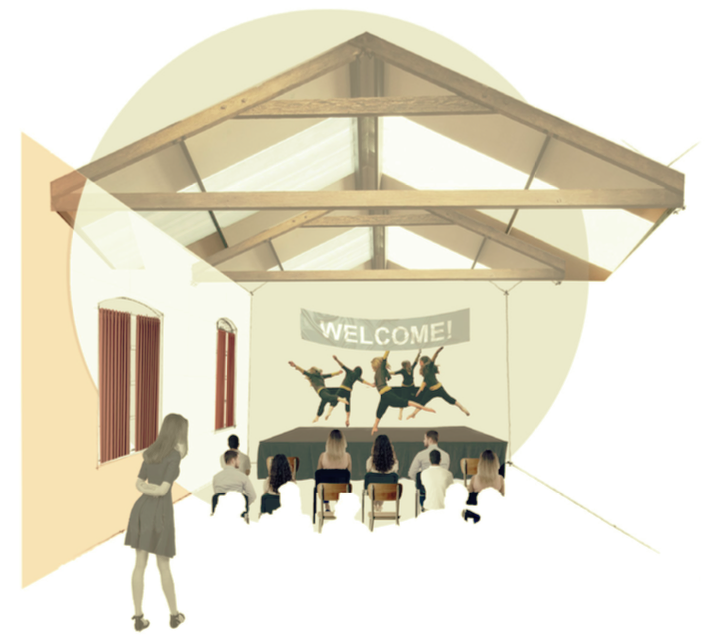 Esther Choi imagined the hall opened up to make a new performance space, connecting the Windmill Park to the Old School Hall terrace. The end of the exisitng hall sensitively restored as an inside multipurpose space for hire. 2. Katie Turner focused on restoration and transforming the entrance space to make it light and welcoming. 4. Olivia Jackson came up with a clever strategy to extend the building at the back, connecting it to the park and making an outdoor stage for performances. She also replaced one wing of the building to solve the building's technical problems. Inside, a new balcony for puppetry performances was created. 5. Tim Hayward thought the Old School Hall needed a dramatic new entrance way to let everyone know something exciting was going on. He used sloping timber columns and a wavy roof to grab attention. 6. Adam Game created a new green courtyard at the heart of the building. 7. 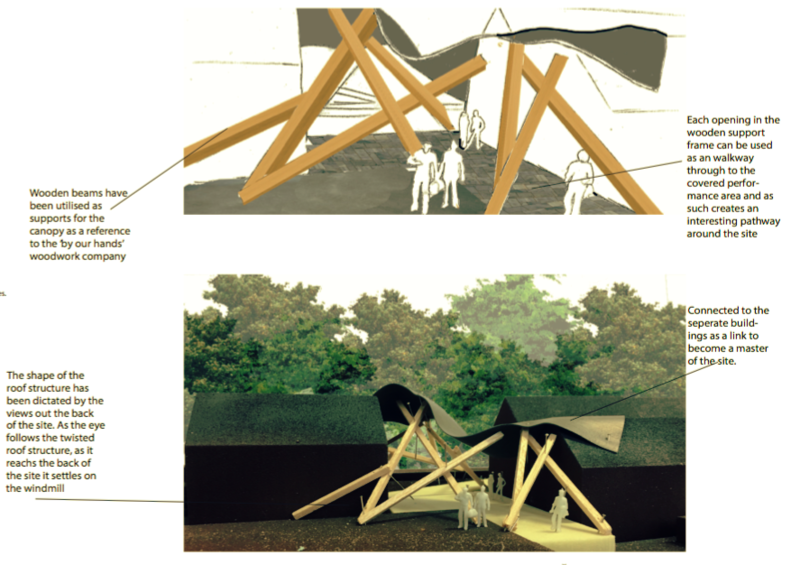 Charlotte Crane raised the roof (literally) to make a new 'pop up' cafe facing the Windmill Park. Nice idea! ]]> tag:www.doshsneinton.org.uk,2013:Post/1197232 2017-10-10T09:24:29Z 2017-10-10T09:24:29Z Community Ownership- an option for the Old School Hall? When their local pub was closed down and threatened with conversion to flats, the community in Peckham Rise came together to buy the building and reopened it as a pub and community venue for events and classes. The Ivy House is now held up as a success story for "community ownership". Could this work for the Old School Hall? The Hall has already been recognised as an 'Asset of Community Value', the first step on the way to community ownership, and a crucial first chapter in the Ivy House story. On Thursday, a film screening and discussion at Nottingham Contemporary will tell the story of the Ivy House. There will be a discussion afterwards, with dOSH represented on the panel. So why not come along and find out more..? Official confirmation has been received that The Old School Hall is an "Asset of Community Value". "...furthers the social wellbeing or social interests of the community and is capable of doing so in the future"
After 6 months the building can be sold to any bidder. So ultimately the building could still be sold to a private party, but at least the community will have some time to get their act together and put in a bid themselves. Good news then and another essential step on the way to saving the Old School Hall for the people of Sneinton! ]]> tag:www.doshsneinton.org.uk,2013:Post/1175271 2017-07-19T23:51:31Z 2017-07-31T16:32:46Z dOSH appeal! We have just launched a "crowd funding" appeal to try and raise £900 in the next month. Crowd funding is a way for people who care about the Old School Hall to directly support the project. We desperately need some 'fighting funds' to keep us going - we will use these to make running repairs to the area around the hall so that it does not fall further into disrepair. Work such as clearing vegetation that is growing into the abandoned structure and cutting back trees which have been causing damage. Whilst our trusty volunteers can do much of the unskilled work, we need to hire equipment and dispose of waste. Some things need qualified and insured personnel who we must pay. Please, if you can, help us by making a donation now. support us with studies to show how the hall can create an income in the future, to ensure it is never faced with closure again. We may need to make future appeals for bigger sums of money once the future of the Hall becomes more certain, but for now a modest fighting fund will keep us going. We have been kept going by local peoples’ dedication and hard work. We have had some success, including commissioning an independent structural engineer's report to show how the building can be made strong again, and getting it recognised as "An Asset of Community Value" by the Council. We have received some small but generous grants, for example from The Renewal Trust, but have for now exhausted those sources of income. Please, if you can, help us with a small (or large!) donation. 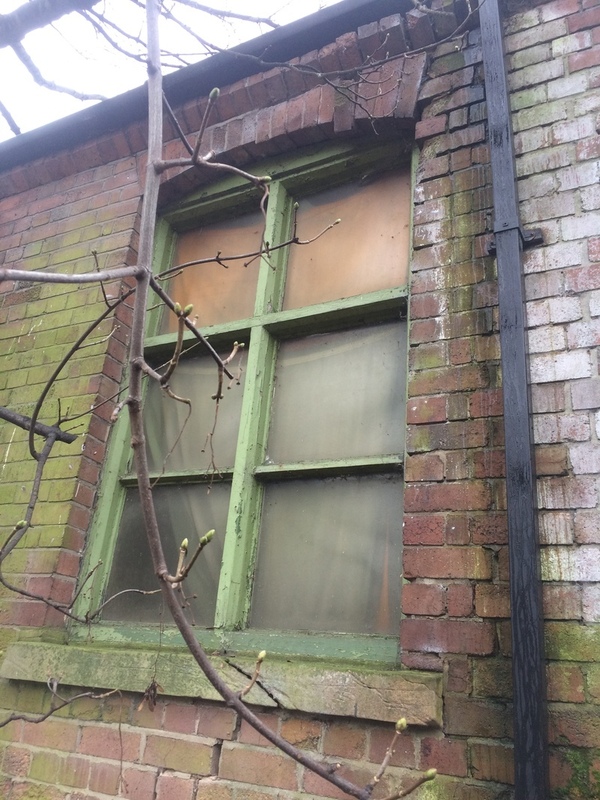 Our surveyor and architect's report have identified what's pretty obvious really- that nature has been doing it's thing and taking over the outside of the building. 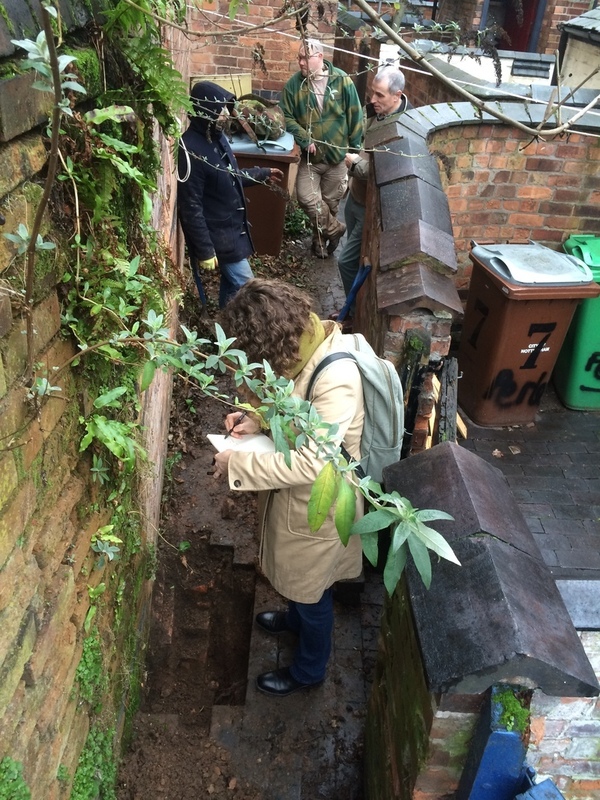 So with a grant from the Renewal Trust we were able to get local outfit Growin' Spaces in to clear out the brambles and shrubbery that have been invading the roof tiles and brick joints. The space facing on to Windmill Park is now looking more shipshape and exterior repairs will be easier to identify and carry out. Some more work is still to do on the most persistent plants, including two trees which will require the Council's approval to remove- letter to the Tree Officer in hand! Meanwhile local practice 2hD Architecture Workshop have supported the project by carrying out a measured survey and have built a computer model for us- we'll use this to show people round the building (now that we can't physically get inside! ), to plan future conversion work and measure up as part of developing a business plan. All who have an interest in the future of the Old School Hall are invited to a public meeting on 6th March 2017 at the Hermitage Community Centre, Sneinton Hermitage. The meeting will start at 7pm. (PLEASE NOTE THE NEW START TIME). Please share the poster image below to your networks and/or print and distribute. We have reached a critical point in our work to save the Old School Hall building for the community and it is important we get a good turn out at this meeting to spread the word. Thank you for helping! ]]> tag:www.doshsneinton.org.uk,2013:Post/1128819 2017-02-05T17:14:35Z 2017-02-07T15:20:50Z Is the Old School Hall falling down? 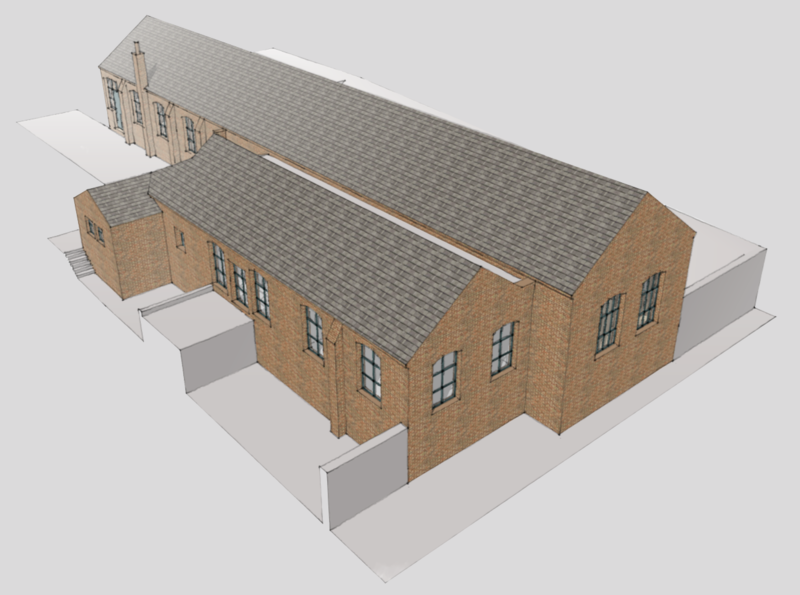 Our stated aim is to help save the Old School Hall building and ideally to retain community use of the site. But Rome wasn't built in a day and historic buildings can't be saved at the drop of a hat! We are steadily assembling the building blocks that are needed; you can read about our efforts so far on this previous post. In this update we want to tell you about another important step - understanding the structural problems that the Council have identified in its reasoning for closing the building down. The dOSH committee, with funding from the Old School Hall Management Committee, has commissioned a report from Nottingham engineers Price & Myers. Looking first at the building as a whole, engineer Lois Plaistow was able to narrow down structural problems to a section of the building that has been unused for years, since cracking and settlement was first noticed. 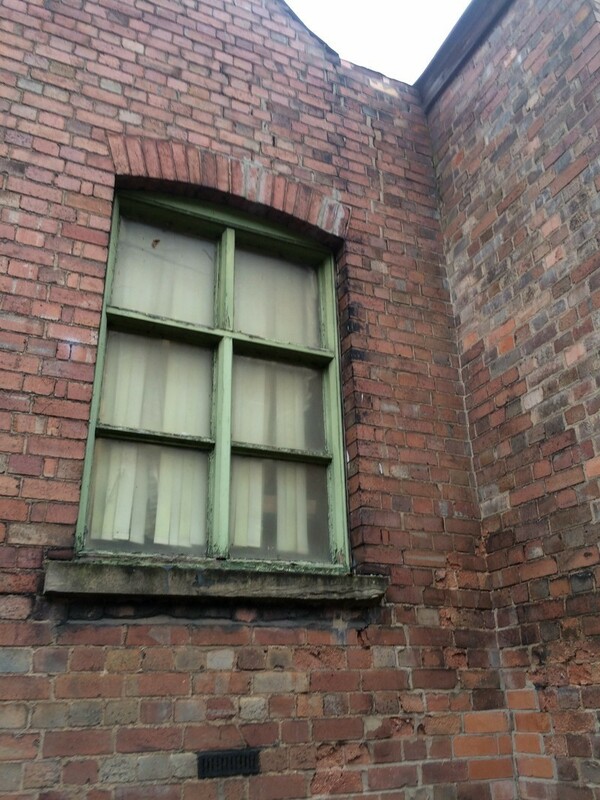 The building has been in continuous use with this problem ongoing as it was relatively easy to ensure safety by putting the affected area off-limits. The main hall, kitchen, toilets and office areas have never been affected. Above: Lois Plaistow of Price & Myers inspecting the foundations in a trial hole at the rear of the building facing Perlethorpe Avenue. In the background, Chris Heuvel of NTU and Stevie Doig of Growin' Spaces. Untreated (but finally now made safe with some scaffolding), the problem has got worse over time and now requires some underpinning of the foundations and stitching together of the brickwork - relatively simple measures to implement for a permanent solution. Further information on the structural survey findings and remedial measures needed can be obtained by emailing dOSH chair Brian Grundy. So to the question- is the Old School Hall falling down? The answer is that a small part of the building has had to be stabilised with scaffolding, and will need to be repaired in the future. The bulk of the hall is unaffected by structural problems. Working with Chris Heuvel, an architect from Nottingham Trent University and local architecture practice 2hD, a condition report has been assembled which identifies the key maintenance and repair work needed to stop further decline of the building, and the space has been measured up to identify the scale of costs and potential for income if the building is reused. 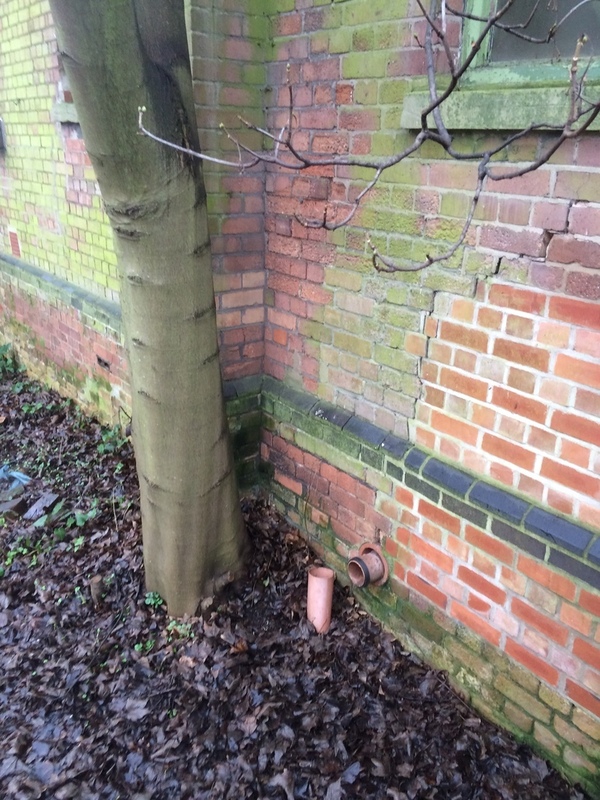 Vegetation from the Windmill Park side of the building continues to grow into the gutters, buttresses and bricks, and through the roof tiles- lifting these to allow water penetration to the interior of the building. This is creating damp problems inside the building which are exacerbated by the lack of ventilation now the building is unoccupied. 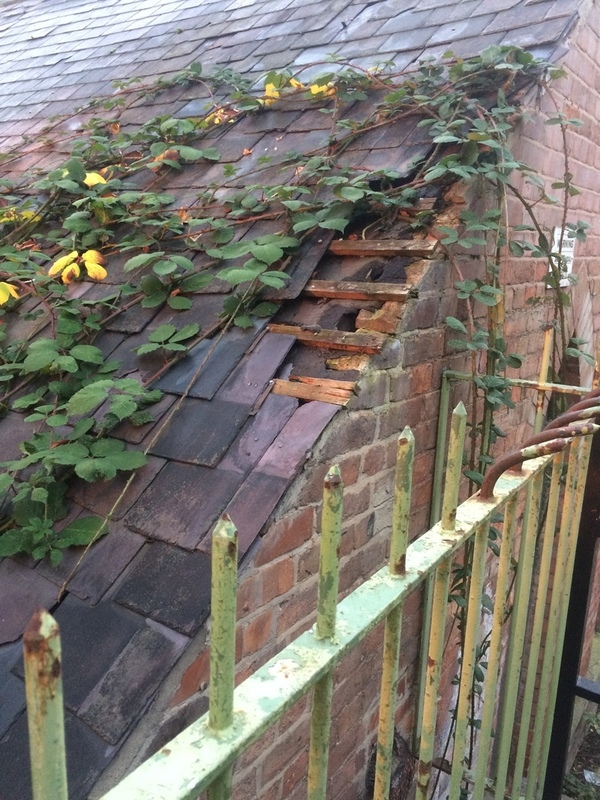 Like the structural problems, these maintenance issues are relatively easily solved by clearing the vegetation away and making minor repairs to the guttering, roof and brickwork. The Council has confirmed that they won't be doing any of this work so, with the building's ownership and future uncertain, we'll be looking in to ways that further decline can be halted by the community. Soon, we will announce another public meeting to show details of what we've been working on and to seek your ideas and support for the next moves. So watch this space for updates! Many thanks to residents of Perlethorpe Avenue for their assistance with access to the rear of the Hall for our structural inspection. We've been contacted by Mak Johal, an architecture student at Nottingham Trent University with an invitation to take part in his research project. You can do this in 5 minutes by clicking here to complete an online survey. Mak has been part of a group of 3rd year architecture students from NTU who have been collaborating with Sneinton Neighbourhood Forum on a research project as part of developing the Neighbourhood Plan for Sneinton. Now in his individual research, Mak is researching the wave of closures that are threatening community centres as cash-strapped councils make tough decisions over their building stock. He is comparing the situation in Sneinton with that in two neighbourhoods in Derby, and is seeking local opinions in both places about how decisions are made - and how these decisions affect young people in particular. 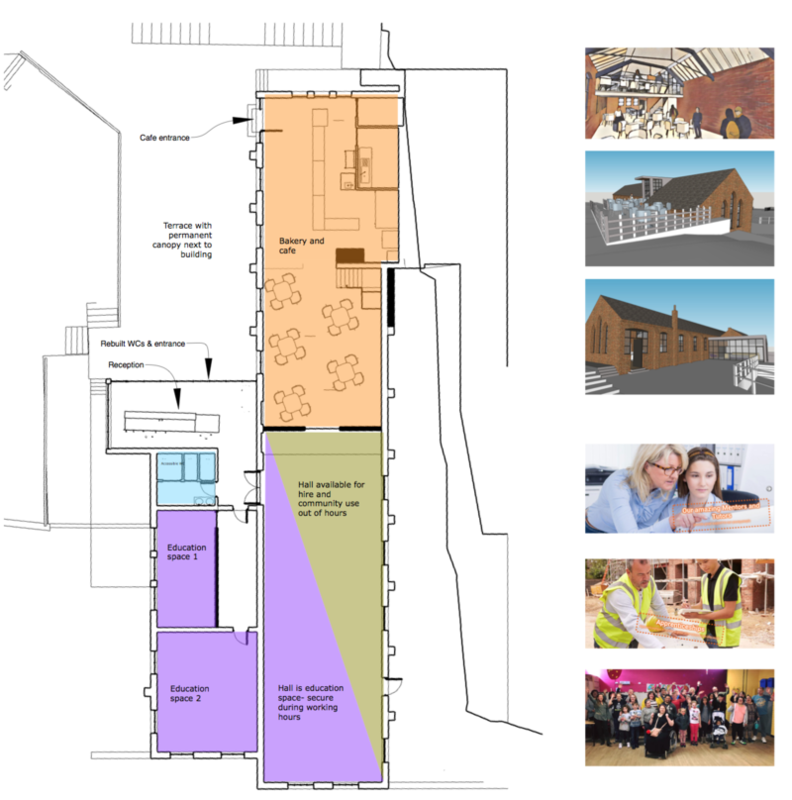 The dOSH community alliance have been getting stuck in to the challenges posed by the Old School Hall. We've been meeting every 2 weeks since the community meetings that kicked off the initiative in September. We've used these meetings to organise a petition collecting signatures from those interested in saving the Hall. 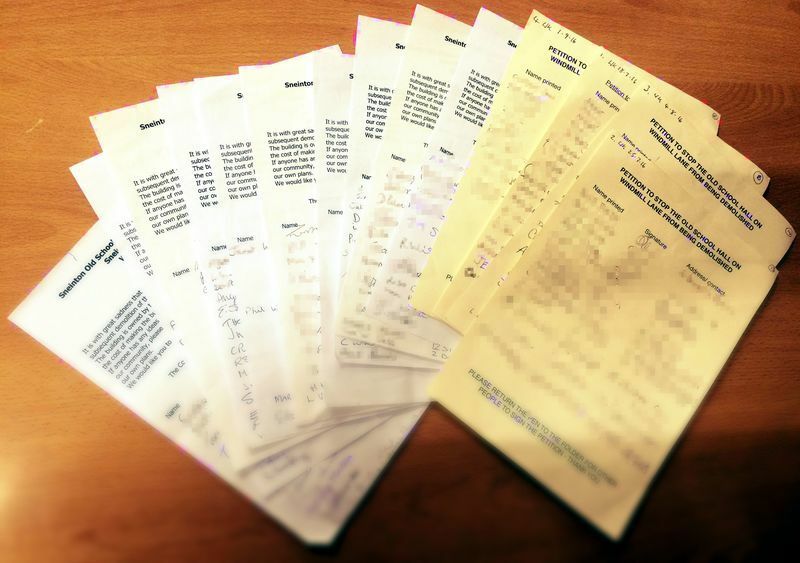 We've received over 170 signatures and currently almost 550 clicking their support via our online petition. On December 5th we held an information stall at the Sneinton Christmas Fair. We've also been studying exactly what we've got- looking through old condition surveys and setting out some priority actions to stop the building deteriorating while it's empty. 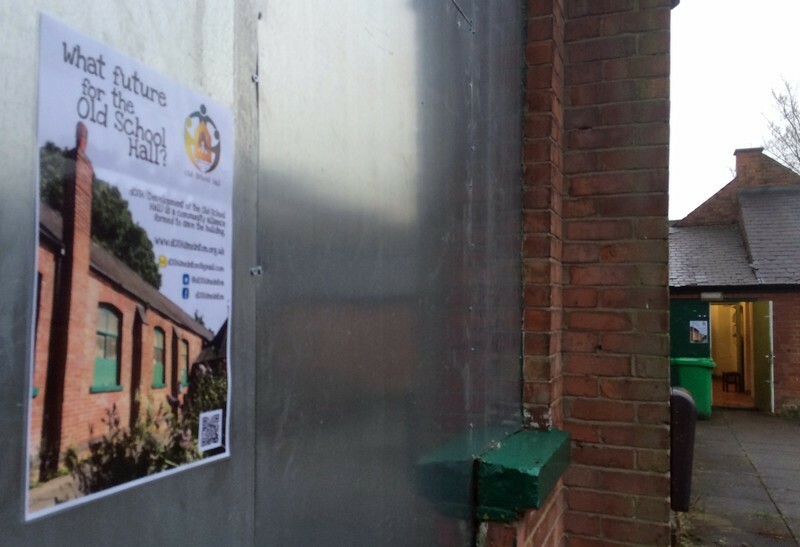 Since the building has been 'boarded up' with shiny tin sheets we've put some posters around to let people know the Hall is still cared for and pointing them to this website and our social media accounts for more information. We've liased with the Council to get access to confidential documents and get hold of the keys so that our architects and engineers could get in to survey the fabric. Contact us with leads to potential users for the hall. We want to maintain community access but need to find sustainable (ie income generating) new uses to make this possible. Send us any pictures you have of the Hall in use (or going back further, showing it in use as a school!) Pictures can be emailed (see our contacts page). Sign the petition to fight to save the building. Follow us on Twitter, like our page on Facebook and tell your friends! Here's the poster to let people know about dOSH and point them towards this website and our social media accounts for more info. Please do share the JPEG image on Facebook or Twitter, of print off the PDF version below for your front window [or billboard]! ]]> tag:www.doshsneinton.org.uk,2013:Post/1097686 2016-10-10T22:10:14Z 2016-10-13T16:59:05Z dOSH: How did we get here? 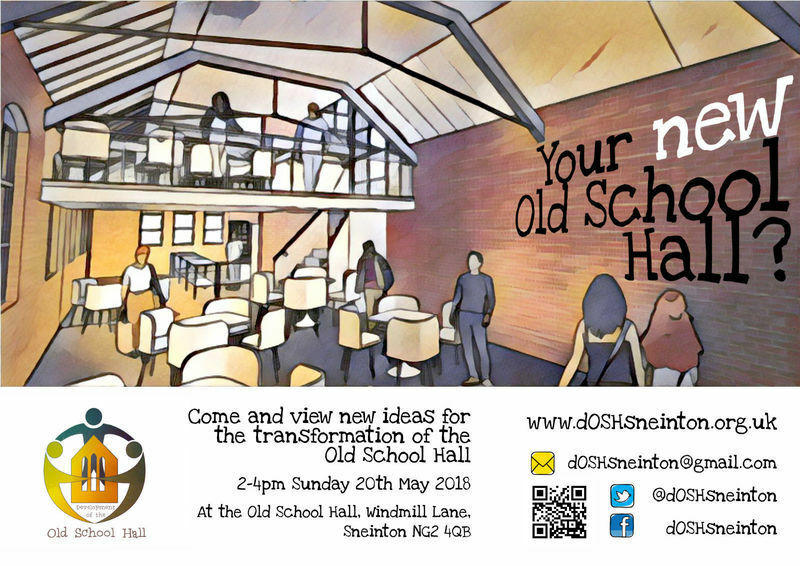 dOSH - "development of the Old School Hall" is a community initiative based in Sneinton, Nottingham. 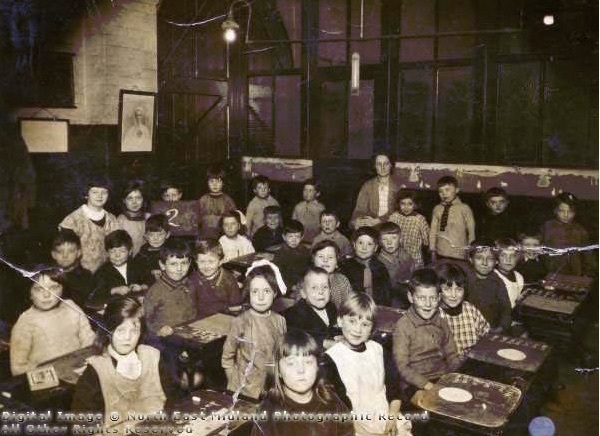 It's mission is to save the Old School Hall, a much-loved building that has served our community for over 160 years. 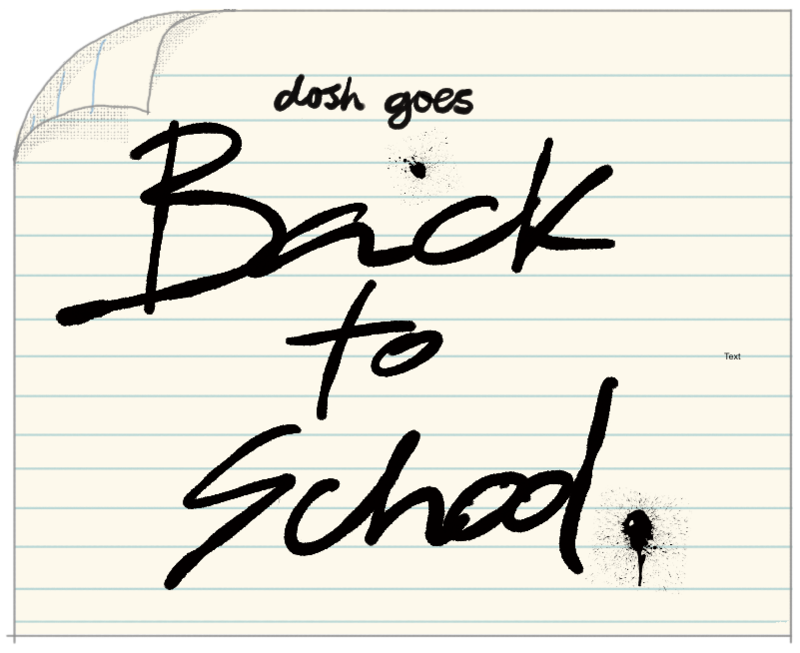 You can read more about our remit on the "About dOSH" page. 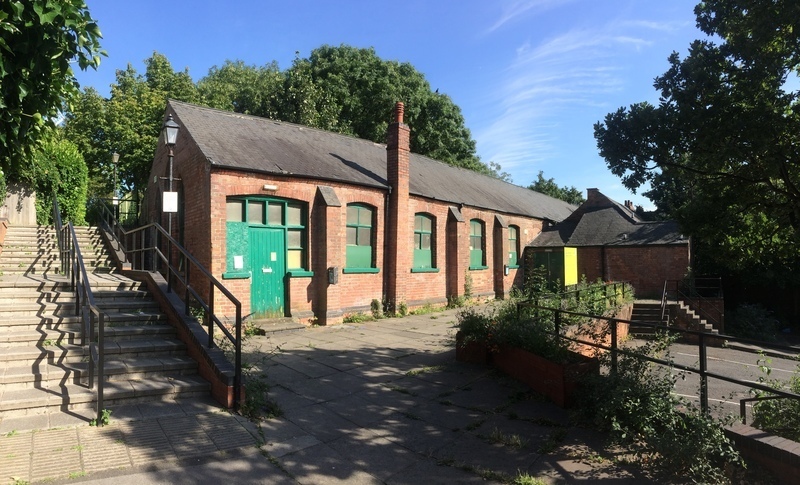 dOSH originated with a public open meeting called by Sneinton Neighbourhood Forum on 12/9/16 in order to share information about the imminent closure of the Old School Hall. Over 60 people turned out to the meeting to hear about what was going on and share their ideas. Read more about the first public meeting, including minutes and reports on the condition of the building. This was followed up by a second open public meeting on 26/9/16 to decide on priorities and a way forward. At this meeting it was agreed to set up a working group of those interested in saving the hall. Finally, a third open public meeting was held on 10/10/16 to bring together anybody who had an interest in joining the working group. A report on this meeting will follow shortly. This may sound like a long process but anyone involved in community development work will appreciate how hard it is to bring people together, to overcome barriers to communication and trust and to unite around a cause. That this has been possible is a testament to the passion that local people have to look after and save the Old School Hall. The future is now a little brighter for this corner of Sneinton, but there is much still to do. To find out how you can contribute please contact us via the "About dOSH" page, and subscribe to this blog by clicking the "Subscribe by email" link below.